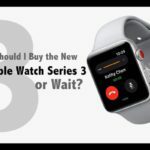 With the introduction of Apple Watch Series 2, Apple has attempted to fix many of the lingering Apple Watch battery issues that left a bad taste with some Apple Watch Series 1 users. 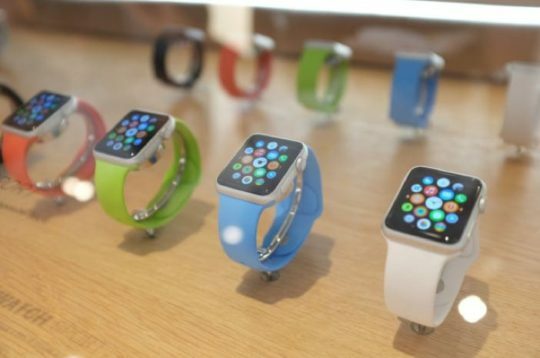 Most notably, these fixes focused on poor performance that affected these Series 1 watches. With watchOS 3 and Apple Watch Series 2, Apple promises that we finally get to feel the speed at which apps load into the device and perform. Testing by Apple concluded that the Series 2 performance 2X faster for graphics processing unit (GPU) and 1.5X faster for central processing unit (CPU) when compared to Series 1. However, there is always a tradeoff between speedier performance and battery issues. 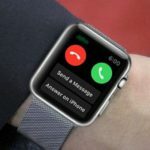 In this post we look at some of the Apple Watch battery issues and provide suggestions on how these problems can be managed and mitigated. 1.1 So are you benching against these metrics? 2.1 Tip # 1 Keep the operating system updated. Before you start with any troubleshooting, it is important that you examine the primary battery health of your Apple Watch. Apple Watch Series 1, Apple Watch Series 2, and Apple Watch Edition should achieve 100% charge in 2.5 hours and up to 80% charge in 1.5 hours using the included Apple Watch Magnetic Charging Cable. The battery life on the Apple Watch Series 2 is suppose to be better than the original, with Apple claiming an All-Day Battery Life. In Apple Testing, Apple achieved 18 hours of battery life with the following usage: 90 time checks, 90 notifications, 45 minutes of app use and a 30-minute workout with music playback from Apple Watch via Bluetooth. So are you benching against these metrics? To view your own usage and standby information, open the Apple Watch app on your paired iPhone and go to My Watch > General > Usage. 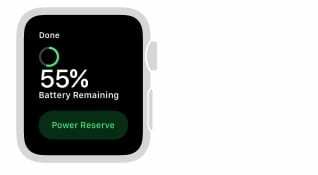 If your Apple Watch is experiencing significantly shorter battery life than Apple’s benchmarks, try one or more of the following tips which have successfully helped resolve battery life issues for some of our readers. Tip # 1 Keep the operating system updated. When it comes to battery optimization, Apple is always trying to update the watchOS and iOS software to make it more energy efficient. It is therefore important that you update the software both on your watch as well as your iPhone. Your Apple Watch should be sporting the new watchOS 3 versions and your iPhone should be running the iOS 10 for the best performance. 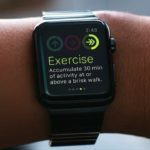 Although the idea behind the watch is to provide you with a lot of health and fitness based applications, many people primarily use the Apple Watch unit for managing their day-to-day notifications. The heart rate sensor in the unit can consume a lot of battery power. If you are not using the heart rate monitor on a day-to-day basis, you can try switching it off to conserve some battery juice. Simply go to your Apple Watch App on your iPhone. Tap on My Watch > Workout, turn on power saving mode. This is a double-edged sword. As much as we like to use our watch for notifications, these constant reminders do impact the battery levels on the unit. You may want to manage the notifications and use the ones that you actually get the best value out of. You can customize your notifications on the Apple Watch. Open the Watch App on your iPhone, tap on My Watch tab > Notifications. Tap on an app. If you want the app’s notifications to replicate your iPhone notification settings, tap mirror my phone otherwise use different notification settings by tapping on custom. A quick tip is to use the VIP Mailbox on your iOS Mail and configure your Apple Watch to show you e-mail notifications that are related to your VIP Contacts. This way you can still get the most out of your e-mail notifications and conserve battery power as well. If you turn off the option for “Mirror iPhone Alerts From” for each app, it may help to restart both your iPhone and your watch, turning both off together, then restarting your iPhone first. If you have owned the Gen 1 Apple Watch for a while now and use it consistently, chances are that the head of the charging cable may be dirty. Make sure that the back of your watch and the head of the charging cable are clean and dry (clean them with a nonabrasive, lint-free cloth). You can try a different charging cable to make sure that your problems are not cable related. Much like other electronic devices, the brightness of the device can significantly correlate to the battery consumption. We all like to see a screen that is bright and beautiful but that comes at the expense of more power consumption. 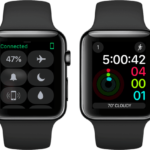 Open the Apple Watch App on your iPhone, tap on Watch > Tap Brightness and Text size and then drag the brightness slider to a lower intensity setting in order to conserve power on your Apple Watch. 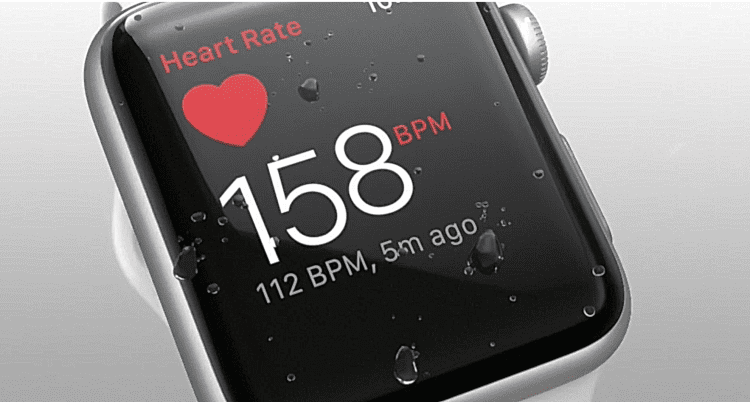 Try resetting and unpairing the Watch with your iPhone. Sometimes a fresh start with pairing can mitigate a lot of issues with the unit. Also a reboot of the watch unit, followed by an overnight charge can bring the battery back to its normal levels especially if you recently updated the watchOS and have not done a reboot. This is a nice feature on the Apple Watch that you can take advantage of to conserve some power especially when you are trying to stretch the remaining battery power on the unit. 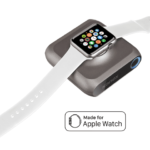 When Battery levels drop to 10 percent, Apple Watch alerts you to enter Power Reserve mode. Swipe up from the bottom of the watch face to open Control Center, tap the battery percentage, then tap Power Reserve. In this mode your apps will not work. Your watch will only display the time. You may want to examine the number of watch faces that you have. 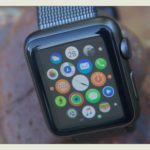 Several readers have found that when they have a dozen watch faces on their Apple Watch, it can cause battery drainage issues. Best practice is to stick with one or two watch faces if you are having battery draining issues. Your Apple Watch is designed to perform well in a wide range of ambient temperatures, with 32° to 95° F (0° to 35° C) as the ideal comfort zone. If at all possible, avoid exposing your watch to ambient temperatures higher than 95° F (35° C.) Temperatures above this range may permanently damage battery capacity. And never EVER charge your Apple Watch in temperatures higher than 95° F (35° C) and of course, keep your Apple Watch out of the sun’s direct light when charging. Finally, if you have tried to manage your Apple Watch battery with all the tips above and have not found success, it may be time to take the unit to the Apple Genius Store and have them check it out. Perhaps a replacement battery may solve your issue. If you are considering upgrading your watch to Series 2 only for battery related issues, you may be disappointed. Although the Apple Watch Series 2 may indeed have a larger battery built into it, but it appears any increase in battery capacity is being consumed by the new GPS chip introduced in the Series 2.